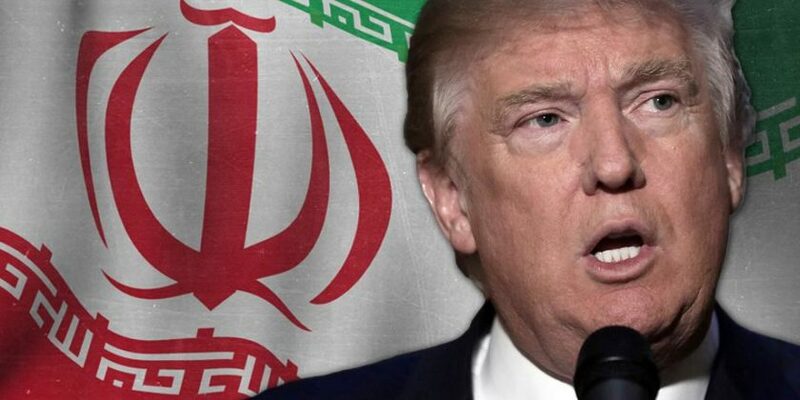 With the unilateral reapplication of sanctions on Iran last year, the US administration made clear its intentions to apply a wide ranging anti-Iranian strategy. The US Secretary of State’s current tour of the Middle East is part of the declaration of the American plan to the region, beginning in Amman. The approach to Iran is not new, with a similar approach taken by President George W. Bush, who also had the hawkish John Bolton among his anti-Iranian administration. The current approach appears to be a more comprehensive anti-Iranian plan in phase, timing and target. Economic sanctions are a very efficient tool against Iran, and the timing of reapplying them after more than seven years of war in Syria where Iran’s resources have been invested, with the sanctions applying before Iran can reap the economic rewards from the rebuilding of Syria. Economic sanctions on Iran impact both the public, as well as the government. Large protests amongst the public because of increased prices and lack of life’s necessities can lead to tension and dispute within the establishment and power circles. The commentary has begun around Supreme Leader Khamenei’s power grab, placing loyalists in key positions, through fear of destabilization of the political system, and his hierarchy of control and power, which inevitably becomes a key theme in the public protests. US Secretary of State Mike Pompeo has also announced that the United States and Poland will jointly host a summit in mid-February that will discuss how to ensure that Iran is not a destabilizing influence in the Middle East. This conference clearly represents diplomatic escalation against Iran, signaling the second phase of the American strategy that aims to isolate Iran once the economic crisis has bitten. Iran has been benefiting in Iraq, Syria and Lebanon from previous US actions in the Middle East and isolating those countries from their Arab neighbors. America’s shift in approach appears to be focused on containing Iranian influence in these countries and building stronger roles in these countries for America’s Arab allies, seizing on the opportunities from the rebuilding phase that Iraq and Syria are going through. In addition, the internal politics of economic sanctions make it even more difficult for Iran to engage in competition with powerful Arab countries in Iraq and Syria when its own people suffer complex economic and political crises. The more Iran is busy at home, the less influence it exerts across the region. Containing Iranian influence in the Middle East is not an easy mission, but for the first time, it seems that the American approach is based on a long-term vision and tactical moves which construct that planned future. Creating a conflict of interest between Moscow and Tehran in Syria also appears to be one of the tactics to contain Iranian influence in the region, especially when it comes to their approach to Israel and the controversial ideas that Iran and Moscow have regarding this matter. The timing of applying this pressure on Iran is almost perfect, as it comes just as the Iranian economy was about to grow exponentially in several industries. The US strategy has ruined the opportunities that would have created this growth, and in addition to the sanctions, it paves the way to political dispute which could generate a security crisis. However, it should be noted that the Iran of today is not the Iran of 2003, its presence is stronger and deeper in the Middle East, and they have experience working under pressure and running a successful proxy confrontation. The coming months will be interesting to follow America’s continued approach and the Iranian response, given the massive impact it will have on their country.